Mary Ella Montague, a former associate dean of the College of Arts and Sciences, who many credit with establishing Sam Houston State University’s dance program, passed away Monday morning at the age of 82. “Mary Ella Montague was the original faculty member, and we claim, the matriarch and founder of the dance program here,” SHSU dance program coordinator Dana Nicolay said. When Montague came to SHSU in 1948, she taught dance classes in the physical education department. Over time, she developed a Master’s degree program and soon afterward, dance was a free-standing program within the university. Nicolay said Montague’s problems began Jan. 23 after she finished up a dance class she was teaching. Nicolay said Montague was taken to Conroe Regional Hospital, where she stayed for the next week. Although he is not sure of exactly what took place, he was told she suffered a stroke and was transferred into intensive care, where she stayed until passing away at around 3:30 Monday morning. 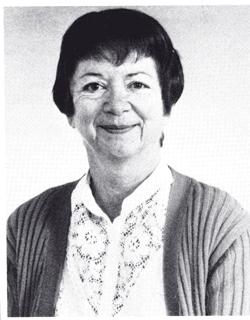 Ruth Cady, a former health professor, not only worked with Montague at SHSU, but went to school with her as well when they attended Texas State University for Women. Whether as students or colleagues, Cady said Montague’s love for dance was never hidden. Although Montague’s involvement in the dance program was limited in recent years, Nicolay said she was always willing to lend a helping hand whenever it was asked of her. “I joined the faculty in 1987 and ‘Monty’ was still around, and over the years, she’s been a constant resource for me in all kinds of situations,” Nicolay said. “I’ve known her because of her association with the dance program, and what I know, is that she laid terrific groundwork for the program. Nicolay said he did not get to know Montague nearly as much as he would have liked to, and he feels her passing is not only a great loss to the dance program, but to him, as well. A memorial service for Montague will take place Thursday at 10 a.m. at the First Christian Church.